A Preservation Agreement is a written agreement between a property owner and a qualified conservation agency (Historic Flat Rock, Inc.) in which the owner agrees to keep the property in its intended state in perpetuity. This agreement runs with the deed if the property is sold. Mountain Lodge (c. 1827)- Currently undergoing extensive renovation and restoration. Stay tuned for exciting updates. Andrews House (c. 1885)- Home to the Village Livery. HFR purchased and completely restored the property and sold it to the present owners with a Preservation Agreement. Commodore’s Cottage (c. 1910)-Built by J. Fonsie Edney and sold to Commodore Valentine Nelson, whose family still owns the property. Dolce Far Niente (c. 1836)-Site of the Thomas Lowndes House. Once owned by Henry McAlpin and Charles Baring. Dunroy (c. 1852)-Original structure owned by David Williams, a rice planter and US Senator whose wife was sister to Mary Boykin Chesnut. Edney House (c.1924)-Built by J. Fonsie Edney. The original house has been significantly enhanced. Elliot Place (Vincennes) (c. 1877)- Built by Col. William Elliot, US Senator from South Carolina. Hemlocks (c. 1908)-Built on the foundation of a much earlier dwelling, thought to be the Kuykendall Tavern dating to the late 1700s. King House (c.1844)-House is made up of three separate structures believed to be mill houses. Earliest deeds indicate ownership by Rev. Peter Stradley who built the Stradley-Jones farm and the Old Post Office. 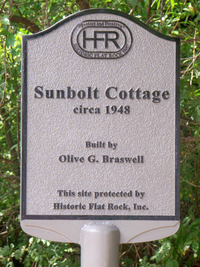 Sunbolt (Brasswell House) (c.1948)- Built by Alice Brasswell, one of the first licensed nurses who counted Carl Sandburg as a patient. Lowndes House (The Rock) (c.1884)-Built by Richard Lowndes for his son. Sits on a portion of great Flat Rock on the Flat Rock Playhouse property. Many Pines (c. 1849)-Built by James Pringle, descendant of one of the early major landowners of SC. Oak Knoll (c.1886)-Built by Penelope Pyatt Parker of Georgetown, SC and remains in the family to this date. It is an excellent example of flow through ventilation and wrap around porch. Old Post Office (c.1845)-Built by Rev. Peter Stradley. This was the first building used as an official post office, but also served as a lookout during the Civil War years. HFR donated a Preservation Agreement to Preservation North Carolina. Rutledge Cottage (Forest View) (c.1838)-Built by Dr. Mitchell Campbell King and reflects the influence of German country houses. 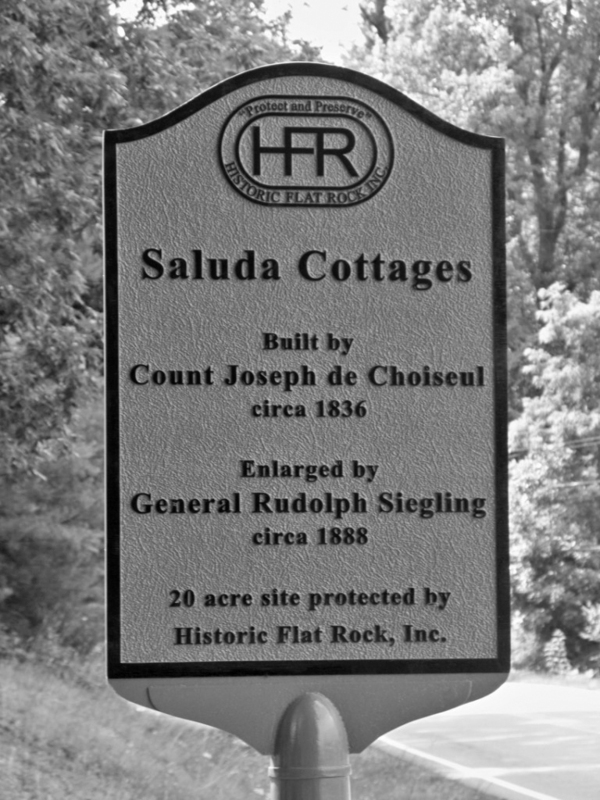 Saluda Cottages (c.1836)- The Preservation Agreement is on 27 acres of land surrounding the main structure which is currently under renovation. The Dam House (Greenwoods) (c.1893)-Built by the Rhett family as a wedding present for Harriet Rhett and Dr. Joseph Maybank. The property changed owners several times but now is owned by the family of the original builder. The Flat Rock Village Hall (Stradley-Jones Farm) (c.1845)-The orginial house is currently the core section of the Village Hall. HFR owned the property from 1979 until 2003 when it was sold to the village for their offices. 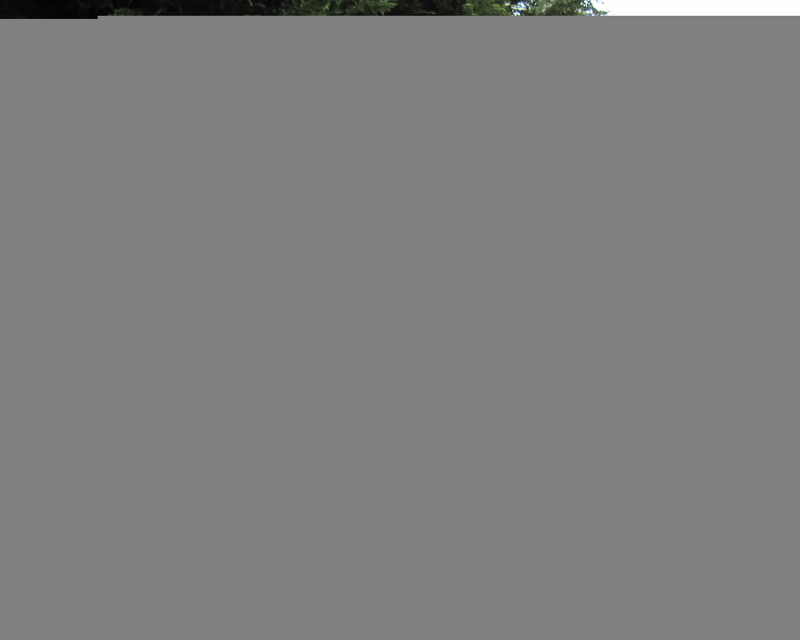 The Preserve-A one and a half acre green space located in the center of the village adjacent to the new Post Office. The land was purchased to prevent further commercial development and retain the remnants of the Ravenswood estate. Its trail is open to the public. The Wrinkled Egg (Peace’s Store)-Purchased from Clarence Peace’s estate, HFR sold the property in 1990 with a Preservation Agreement. The building houses The Wrinkled Egg and The Flat Rock Bakery and anchors the commercial section known as Little Rainbow Row.